For futsal to have a successful future I believe its organisations, such as the federations and the clubs, must be managed better and adopt a commercial and strategic outlook. Futsal receives almost no media coverage. This is not due to a lack of entertainment value. It has characteristics similar to the world’s most popular sport, and it is arguably more exciting and enjoyable to watch. Its fundamental qualities suggest it should be receiving much more attention than it is currently.. This is not just the case in the countries where futsal has only recently been introduced. In Spain it is the most practised sport, the national team has reached the final of the last 5 World Cups winning two and they have a professional league that features the world’s most successful club. Yet despite all this it still receives relatively little media coverage in the country. If we continue as we are, do nothing and go along in the same manner, inevitably, common sense tells us that this situation won’t change. Therefore it is imperative we figure out how we can progress and make the necessary changes to improve our circumstances. I have played futsal in five countries and follow it in many more. I see the same issue time and time again, badly managed organisations with all their focus on the short term. Federations and clubs that lack long term strategies and objectives, running their entities on a day to day basis without any vision or leadership. Federations just ensuring the competition runs and clubs that are only thinking about how to get the best players for the current season. Futsal is in a stage of development and growth and it is competing in an industry that is highly lucrative but also highly competitive. The phrase “sport is a business now” can be commonly heard. It has always been an industry like any other it is just that it is only recently that sporting organisations have begun to take a business minded approach to take advantage of the opportunities available. To compete in any market, good organisation and long term planning is essential. This means creating a plan that sets out the objectives with deadlines accompanied by a long term strategy to achieve these. Part of this is identifying potential issues and opportunities. Without this, potential problems (or opportunities) are not anticipated and there is not the capability or time available to find solutions to the problems (or take advantage of the opportunities). It is crucial to observe and learn from others who have developed successfully. Through learning from the experiences and knowledge of clubs, federations and sports that have been prosperous a path for futsal can be chosen. Other sports will have had the same issues futsal has and at one time been at the same stage of development. Basketball, handball, ice hockey, football (including women’s) etc all have something to offer futsal. What have they done that has worked and what has failed? If we look closely at the success stories in the sports industry it is usually found that they have managed their organisations effectively by applying ideas and strategies from the business world, which, to repeat, historically has not been the way of management in sport. Of course we should also look at the few successful organisations that exist within our own sport. Generally people in futsal are quite open and this must continue. People should be willing to share their expertise and information and not try to protect it. By co-operating they will gain the benefits from the growth of the sport that is being held back by these dysfunctional organisations. For example if you are a very well organised club and you are in a league with 11 badly run clubs you will never maximise the strengths of your organisation until the other clubs evolve. A good example is the significant progress that Spanish futsal has made in recent years and which is just starting to give successful results. 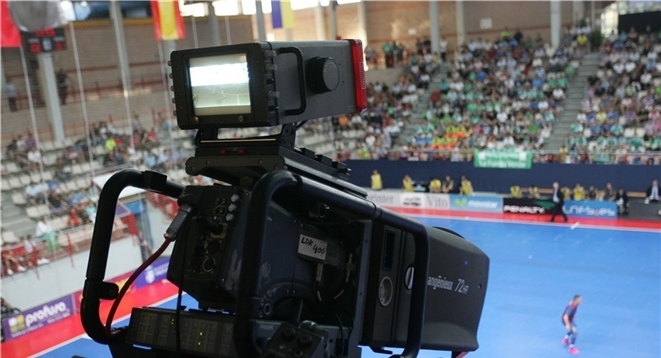 Since being elected president in 2009, Javier Lozano (former national team coach and player) has transformed their futsal federation through marketing. This has not only enhanced the diffusion and image of the sport but has also had a financial repercussion, clearing over €3 million of debt he inherited. He encouraged and supported the clubs to make improving their management and structures a priority. 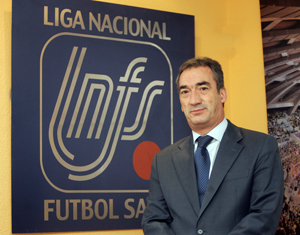 One example is Fisomedia Manacor who, due to the economic crisis in Spain, has had to reduce their budget from less than half the €1 million of four years ago yet are now allocating more to areas other than players salaries such as their media department (also highlighting the lack of money that was spent on this before). The outcome of this has been the beginning of a revolution off the court in Spain with record attendances and increasing TV viewing figures (their games are now broadcast on TV in Brazil, UAE and across Eastern Europe as well as streamed online worldwide). It will take time for the full benefits to be realised. Though Spain is certainly not without its problems, one team was recently expelled from the Premier Division due to financial difficulties, it is surviving a severe economic crisis much better than many other sports there. If we preserve the short-term thinking and poor organisation the sport will continue on its current path of being crowded out by its competitors. With a long term vision and organisations with professional structures I am sure futsal will grow rapidly and gain the recognition this wonderful sport deserves. There is no point complaining about being ignored by the media, sponsors, the International Olympic Committee. Instead let’s be proactive and do something about it so that they approach us. In Part 2 I give some specific ideas for clubs.